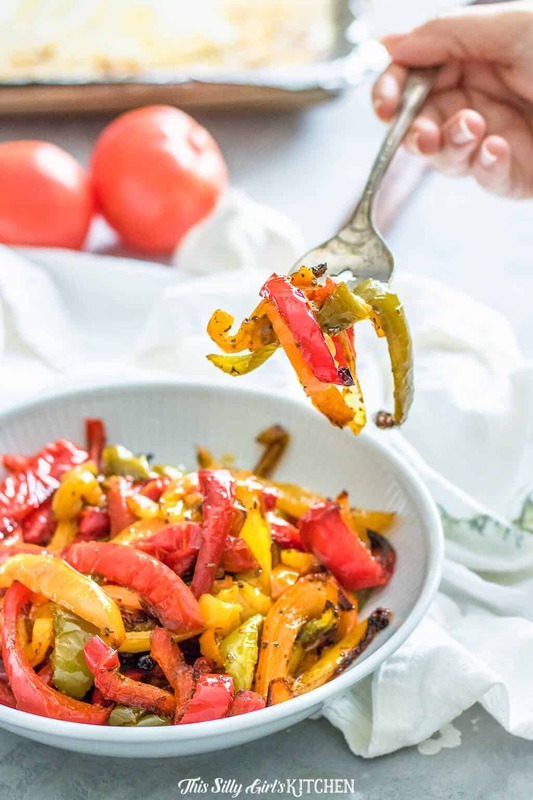 Roasted peppers make for a side dish or topping for many different meals. 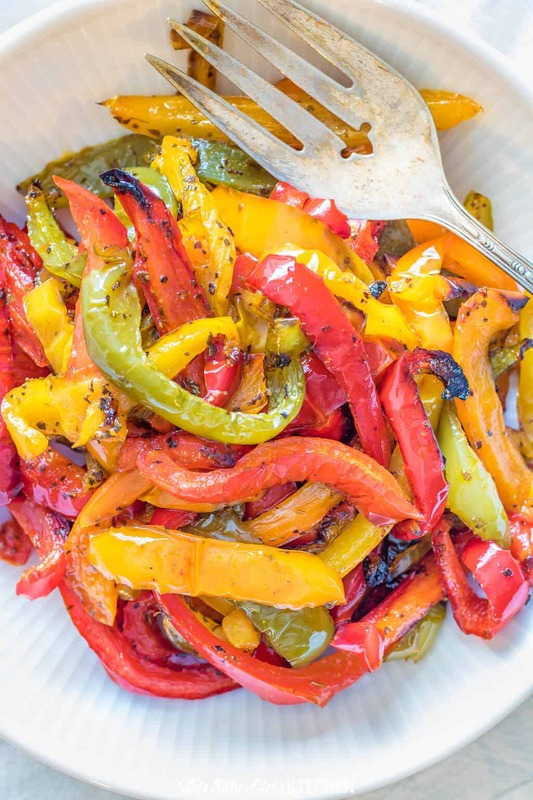 Once you try making roasted peppers, you will make the excuse to have them at every meal. Sweet and tender, they compliment every dish! PIN IT NOW AND SAVE FOR LATER! 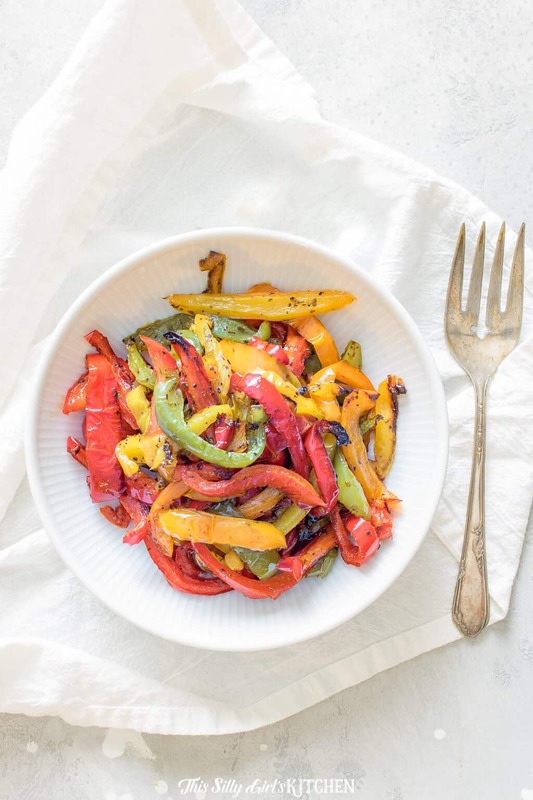 Roasted bell peppers have been a staple around here lately. What to use roasted peppers in? I love to serve them as a side dish with spaghetti, as a topping for cheeseburgers or bratwurst, or even on pizza (like this deep dish pizza). They are so versatile and jazz up any dish. A lot of people love roasted red peppers. But, to me, a variety of colors really make for a beautiful presentation. I first fell in love with roasted peppers about 5 years ago when we were on vacation with my parents in the Tennessee mountains. They made roasted bell peppers, just the good old green variety, as a topping for Italian sausage and Italian beef sandwiches. I have to be honest, until that moment I HATED green bell peppers. With a passion. But, since my first bite in that cabin, I haven’t looked back. Roasted bell peppers are not spicy at all. In fact, roasting them concentrates the sugars in the peppers making them SUPER sweet. Cut peppers into about 1/2 inch slices. 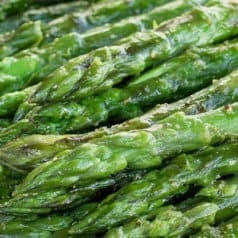 Toss in olive oil and spices. Place on a sheet tray and roast at 350°F degrees for one hour. Turn them every 20 minutes. When making oven roasted peppers, what you are looking for is the peppers to become tender but to also get a char on them. Make sure you are cutting them only about 1/2 inch thick. Cutting them too thin will dry them out and overcook them while cutting them too thick will need additional cooking time. Roasting peppers has never been easier! What is the difference between roasted peppers and roasted red peppers? Typing this blog post I can imagine those gears turning in your head. Aren’t these just like roasted red peppers? 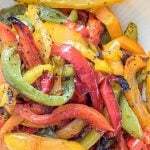 This recipe for roasted peppers is for a side dish or topping. Traditionally, roasted red peppers are something totally different. When you think of roasted red peppers, you are thinking of fire roasted peppers. 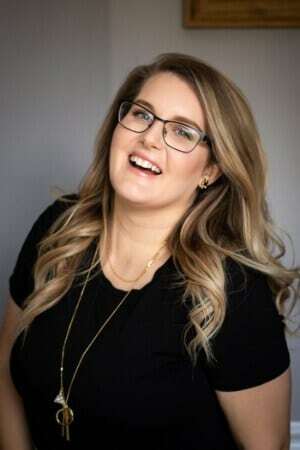 That is a whole different blog post and recipe my friends! Fire roasting peppers is exactly as it sounds, placing peppers, normally red bell peppers over an open flame and charring the skin. Then, the skin is removed and the peppers are now used in dishes, soups, or sauces. 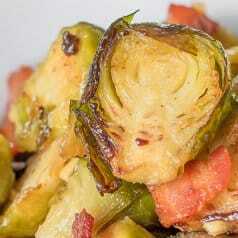 You can also find jarred roasted red peppers ready made normally by the olives and pickles in grocery stores. Learning how to roast bell peppers is a meal changer! Roasted peppers in olive oil are normally served with Italian style dishes in our house. However, I did jazz them up a bit and added some cumin and chipotle powder to the mix a few weeks ago. 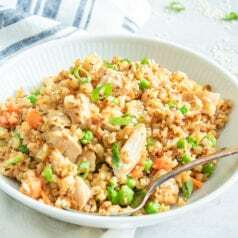 I served them with chicken enchiladas and WOW, they were extremely good and a new staple. How long can roasted peppers be refrigerated? According to StillTasty.com cooked peppers stored in an airtight container can last in the fridge for three to five days. Can roasted peppers be frozen? Yes! Lay out the peppers in a single layer on a baking sheet and place in the freezer for one hour until frozen. Transfer peppers to an airtight container or freezer bag. Cooked peppers will last in the freezer for 4 to 6 months. 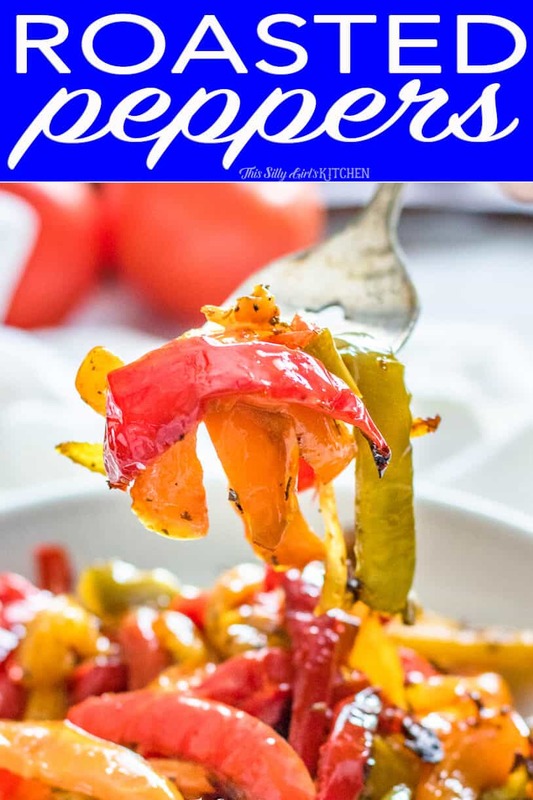 Roasted peppers are sweet and tender, and they compliment every dish! Preheat oven to 350°F degrees. 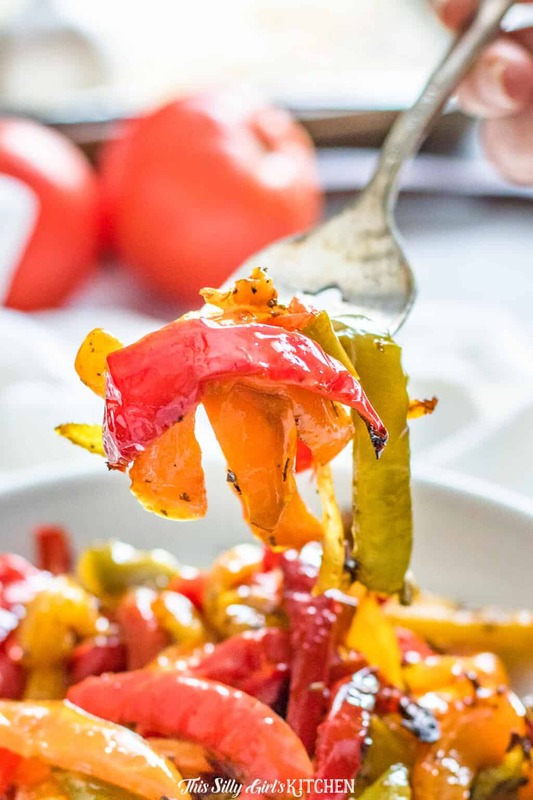 Place sliced peppers into a large bowl with the remaining ingredients. Toss to coat. 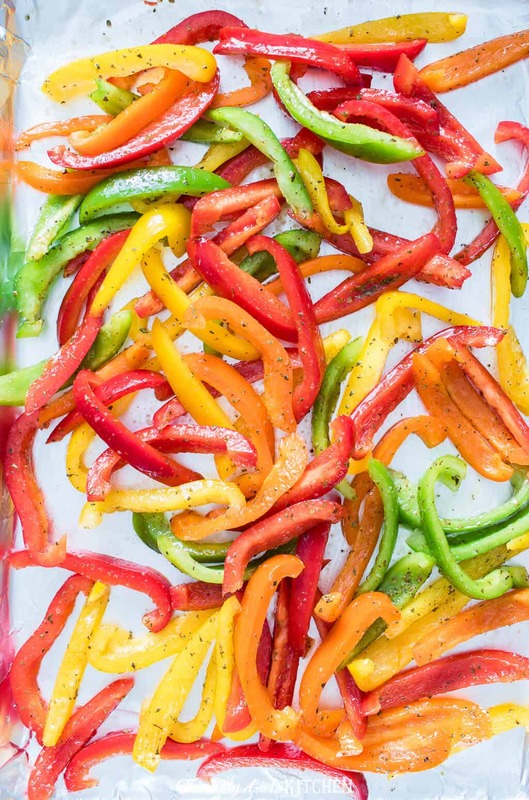 Place peppers on a baking sheet (I line mine with foil, this is optional) in a single layer. Bake for 60 minutes, turning every 20 minutes. Peppers are ready when they are tender and slightly charred.